The new studio for a well-known video game developer and publisher presents an engaging and high-quality entertainment experience to gamers from around the world. Designed by Futurespace, both floors take advantage of the building’s central atrium. 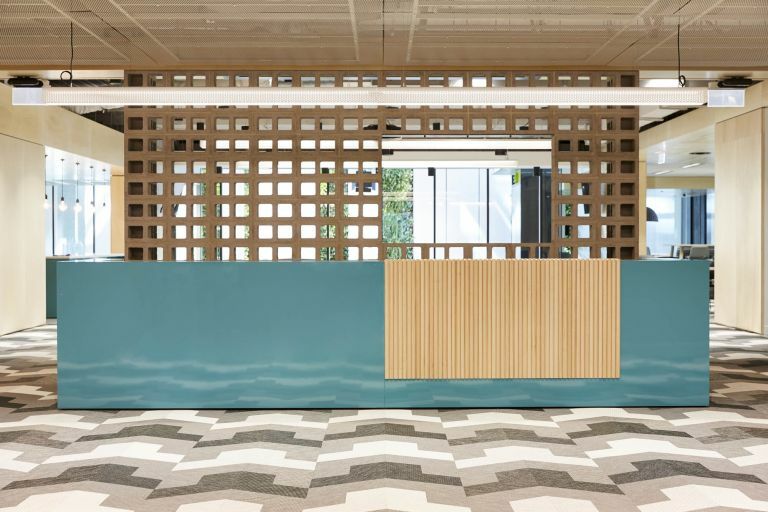 The design maximises transparency with a focus on increased visual connection to best utilize the unique arc-shaped base building floor plate. Scrum walls and collaboration areas are scattered throughout the office to support planning and brainstorming. These are positioned in line with the perimeter glazing to invite natural light to inner spaces. Black finishes feature prominently and contrasts the warmth of timber veneers. 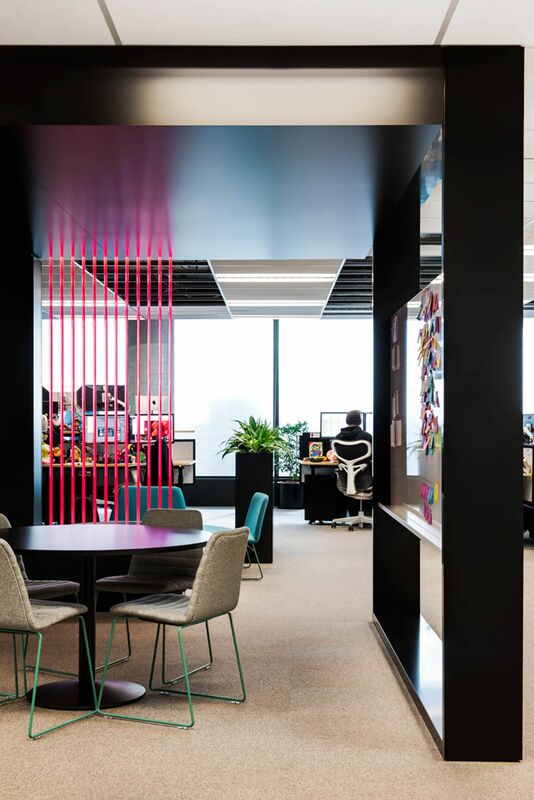 The workplace also features multiple references to the virtual world with pops of colour, partitions resonant of gaming aesthetics, and circular Barrisol lights acting as beacons within the floor plate. Our VIC construction team managed the interior construction and utilised our extensive internal network to improve manufacturing lead times and quality control. 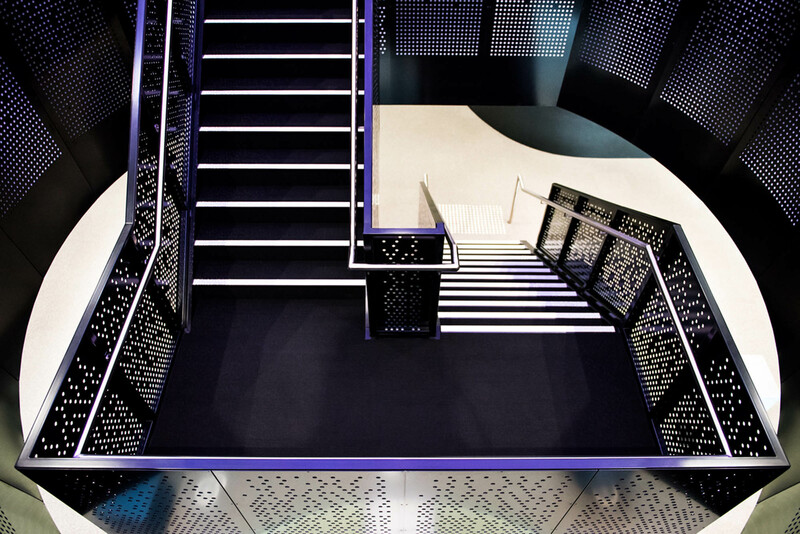 Schiavello subsidiary Metcon supplied the black perforated metal panels for the inter-tenancy steel staircase; Prima Architectural Joinery produced the curved seating; and Schiavello Signage provided gaming motif graphic treatments. 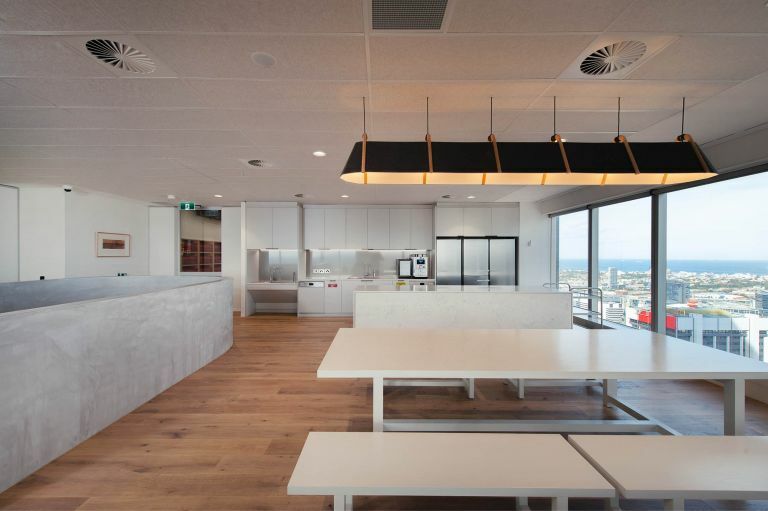 Close collaboration with Futurespace, and a focus on value management, constructability, and feasibility advice ensured Schiavello finalised all works in time for staff move-in. 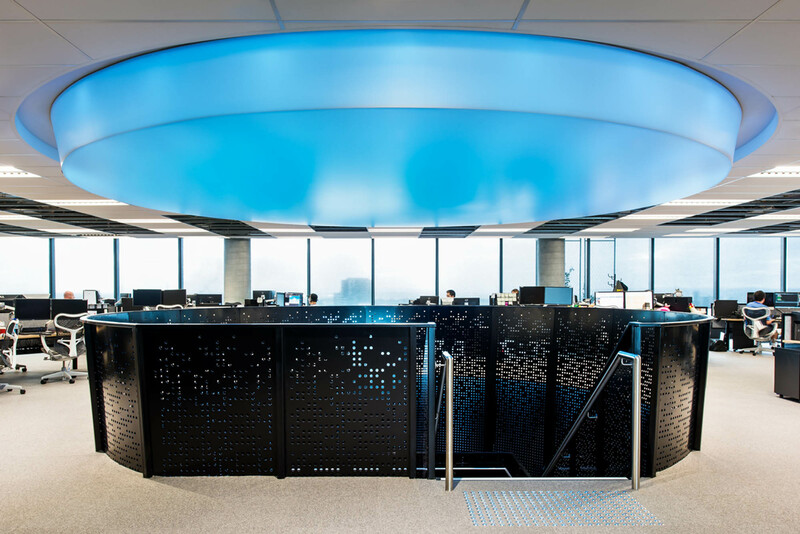 “This was a complex project with a tight frame, and Schiavello was instrumental in getting the fit-out completed in time. 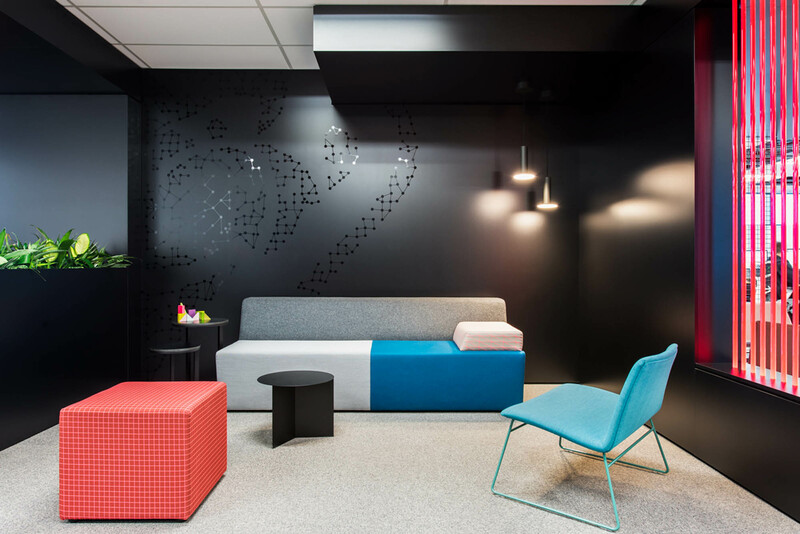 Their approach was a collaborative and design-led one from the start, and we are thrilled with the outcome it has produced for the client,” says Gavin Harris, Design Director, Futurespace. 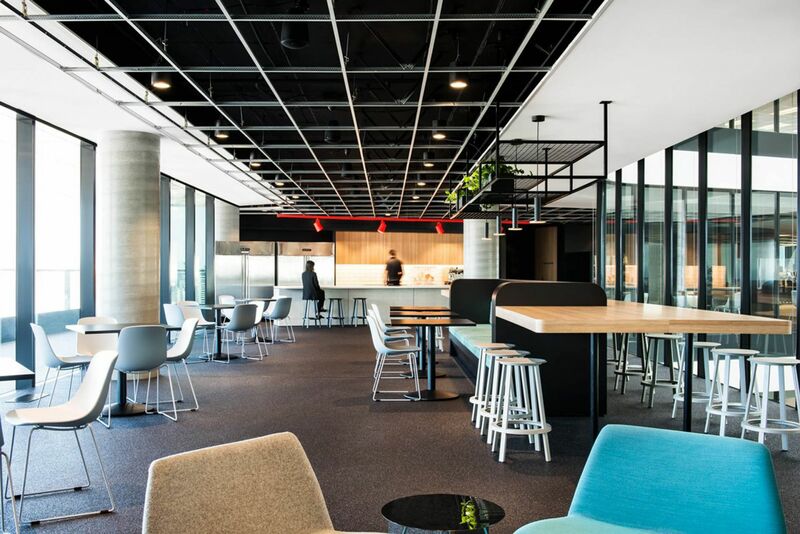 Designed by architect Futurespace, PEXA, has consolidated 200 staff into a new, centralised headquarters in Collins Square, Melbourne.